This page contains answers to some of the most commonly asked questions we receive regarding security clearance. Our attorneys at The Edmunds Law Firm offer strategic, knowledgeable, and effective representation for all manner of security clearance-related issues including applications and appeals. We are a nationally ranked law firm with a winning reputation. The attorneys at The Edmunds Law Firm are recognized as leaders in security clearance law. If you have questions about the application process, or if your efforts to obtain security clearance have been denied for any reason, we urge you to contact us today at (800) 481-2526 to arrange a consultation. Can I get a security clearance if I am not employed? To obtain a national security clearance, you must have a sponsoring employer. Thus, individuals who want a national security clearance who are unemployed and have never had a clearance must find employment that requires access to classified information. Is my security clearance still active from my time in the military? If you have left the military, your clearance may have been withdrawn. A security clearance can be withdrawn for administrative reasons, without prejudice as to a later determination. I have applied for a security clearance but I have some negative information in my background. How honest should I be with the investigators? It is generally best to be completely candid with investigators. If you fail to disclose relevant information and it is later discovered, your trustworthiness will also be in question. You may contact The Edmunds Law Firm for consultation prior to your interview. My employer told me that my clearance was denied. How can I find out why? If it was an interim denial, the government is not required to provide an explanation for the denial. However, our office can assist you in obtaining a copy of your investigative file, which will usually reveal the reasons for the decision. If the denial was a final clearance determination, then a Statement of Reasons (SOR) will be issued to you. I have been notified that my clearance has been suspended. How do I obtain a Statement of Reasons? Our team at The Edmunds Law Firm can assist you in obtaining a Statement of Reasons if your clearance has been suspended and you are still employed. It is often necessary to correspond directly with government agencies to obtain documents. The help of an attorney can ensure a more timely response from the government in obtaining the Statement of Reasons. If I am denied an interim security clearance, will I receive a Statement of Reasons? An interim denial does not result in the issuance of an SOR. There is also no formal appeal process for an interim decision. However, this office frequently assists applicants in amending their investigative files to address any negative information. This can greatly increase an applicant’s chances of obtaining an interim clearance the next time they apply. What if the issues stated on my Statement of Reasons are wrong or inaccurate? An applicant has the choice to admit or deny each allegation contained in the Statement of Reasons. If the applicant admits an allegation, this removes a huge burden from the government to prove the facts alleged. If there is any doubt about accuracy, the applicant should always deny the allegation. How do I obtain a copy of my investigative file? You can request a copy of your investigative files from your employer and from the government agencies that investigated your clearance. Most agencies have specific format requirements for such a request. The Edmunds Law Firm routinely assists applicants with this process. Can the government request a polygraph? Keep in mind, a national security clearance is a privilege-not a right. The government can request that any applicant submit to a polygraph examination. Can the Government request a medical examination? The government can request medical examinations and testing to complete their review of every applicant’s request for a national security clearance. If I refuse to undergo a psychological examination or a polygraph examination, will my clearance be denied? Generally, any refusal to participate in the investigative process will result in a negative decision on the applicant’s request for a national security clearance. Can I still obtain a clearance if I have a family member in a foreign country? This is a very common allegation raised by the government relative to applicants who were born in other countries. However, The Edmunds Law Firm has effectively argued this issue and has succeeded even where the applicant has had numerous family members still living and residing in foreign countries. If I am a government contractor, how do I respond to an SOR? In this type of case, the applicant is permitted to submit a written response to the allegations and/or request a formal hearing before an administrative judge. Can I be successful in rebutting an SOR solely with a written response? In most contractor cases, a written response to an SOR is insufficient. Most applicants have already submitted documents to the government prior to the issuance of the SOR. A written response is a required formality; however, it seldom results in a successful conclusion for the applicant. The best opportunity for any applicant to prevail is at a formal hearing. Do I need an attorney for my hearing? In many cases, the procedures and rules that will be applied at a formal hearing are complex. Without an attorney, the applicant will miss opportunities relative to the production of evidence, the examination of witnesses, and arguments to be made to the court during the hearing. Additionally, applicants are at a distinct disadvantage if English is not their primary language. An experienced attorney who handles national security cases on a regular basis can ensure that the best possible case is presented on your behalf. Many attorneys advertise that they have national security experience, when in fact they have little or no experience. Individuals are advised to ask for specific cases that any attorney has successfully handled at a formal hearing. How long can a formal hearing last? A formal hearing is scheduled for a precise date, time, and location, as specified in the Hearing Notice. The hearing can last from two hours to a full day or more. The length of the hearing should be discussed in advance with the administrative judge and the government attorney. The Edmunds Law Firm frequently works with the government to set hearing dates that are convenient for applicants. What type of evidence should be produced at a formal hearing? The formal hearing is an opportunity for the applicant to produce evidence in the form of testimony, documents, and official government reports. The specific documents that should be produced depend upon the allegations contained in the Statement of Reasons. Do I need to provide copies of my evidence to the government attorney prior to the hearing? DoD Directive 5220.6 states that the government attorney and the applicant shall serve one another with a copy of any pleadings, proposed documentary evidence or written communications to be submitted to the administrative judge at the formal hearing. The exchange of information should be mutual and done in a timely fashion prior to the hearing. Can I object to the government’s documentary evidence? Yes, there is an opportunity in every case to object to the documents the government submits. The applicant must identify the objectionable documentary evidence at the time the evidence is offered by the government at the hearing. Objections are a technical part of the hearing process and applicants are encouraged to consult with an attorney about their opportunities to object. Should I produce witnesses at the formal hearing? Witnesses are a definite benefit to every applicant provided that they are aware of the allegations in the SOR, can make a good appearance, and have knowledge about the responsibilities of a national security clearance. Professional witnesses are highly regarded at formal hearings and witnesses that have known the applicant for several years can be of tremendous benefit. Will the administrative judge issue a decision at the hearing? No, the administrative judge takes all matters under submission and will issue a written opinion following the hearing. How long does it take to receive the decision? Typically, the administrative judge issues a written decision within one to three months. It may take longer in some cases. Can I submit documents to the government after the hearing? In most cases, the record is closed after the hearing. However, if you are waiting to obtain certain favorable documents, you can request that the administrative judge keep the record open for a specified period of time. The Edmunds Law Firm routinely obtains extensions for our clients. What happens if I lose at the formal hearing? Following the formal hearing, a notification will be sent concerning the applicant’s right to an appeal. The written appeal is a very important opportunity for the applicant to change the decision of the administrative judge. In a surprising number of cases, the adverse result at a formal hearing can be overturned. The Edmunds Law Firm has been very successful in written appeals in Defense Office of Hearings & Appeals (DOHA) cases. Can I get a clearance at a later time if I lost the formal hearing and lost my appeal? Every applicant has the right to reapply for clearance one year after the final adverse decision. 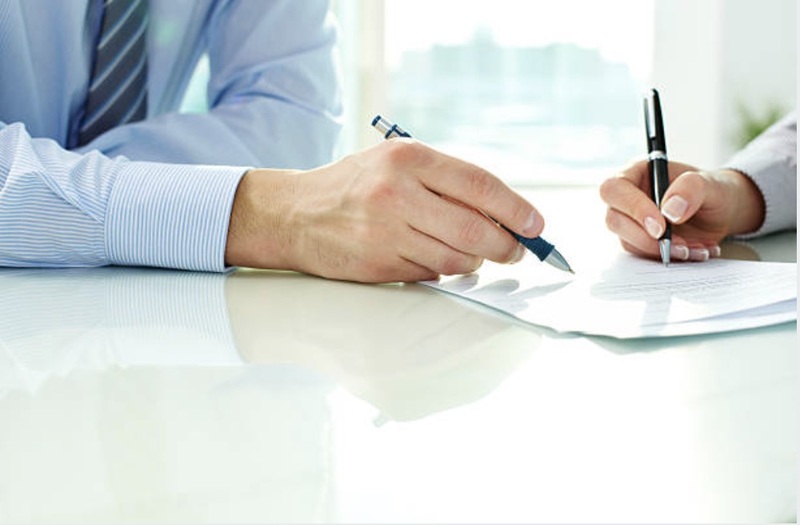 The Edmunds Law Firm can assist you in preparing documents for your reapplication. Please call us for further information. Can I request an extension to respond to the Statement of Reasons or Letter of Intent? A written request for an extension should be made if the applicant is not prepared or needs additional time to obtain documents or witnesses. The request should be in writing and should be sent to the agency that issued the Statement of Reasons.